Here is a moody shot taken at Glenfield Park. Guarded by a dramatic sculpture, our new entrance feature at Glenfield, near Pilling was unveiled recently. 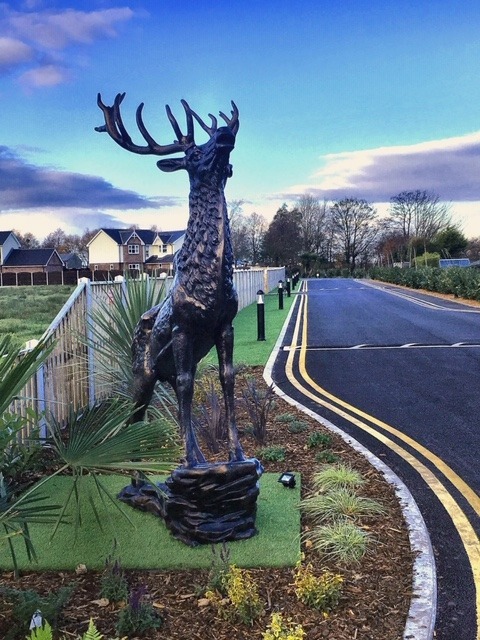 In addition to the new planting, road re-surfacing with fresh new road markings, fencing and astroturf, the rearing stag adds real drama and sets the tone for this exceptional park.